These lizards spend most of their life in trees (they are primarily arboreal). They live in the north of Australia and in New Guinea. They inhabit moist tropical and warm-temperate forests and in woodlands with shrubby under story. 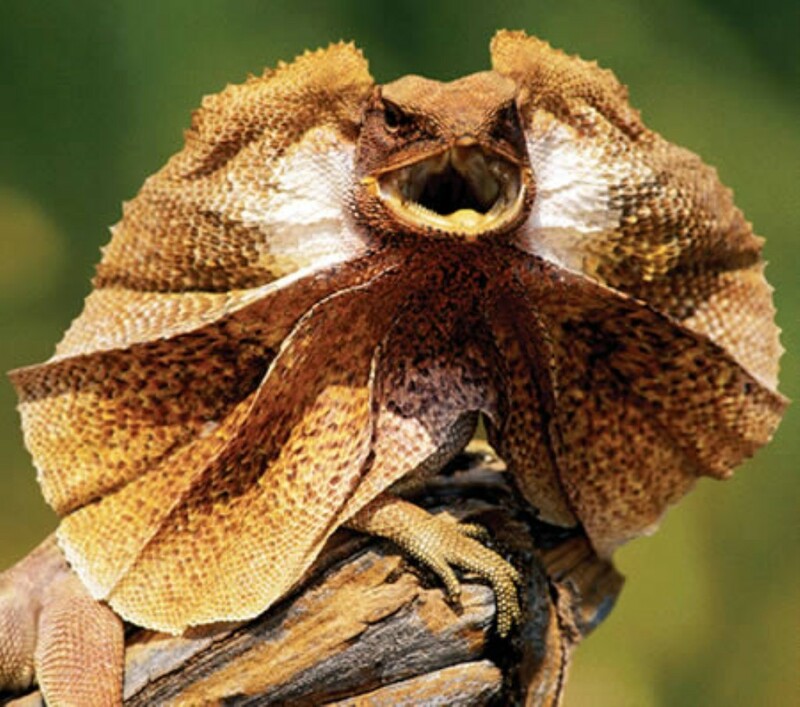 Frilled Lizards are carnivorous (meat-eaters). They eat bugs (like cicadas, ants, and spiders) and small lizards. They hunt in trees and on the ground.